Brian David Green, age 60, passed away after a short illness on January 20, 2019. 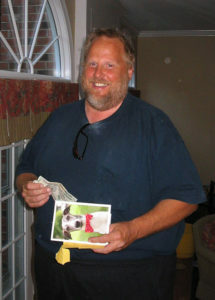 He was born in Montreal, Canada to James A. Green of England and Ida Green, (nee Haapalainen) of Finland who both predeceased him. He is survived by his brother Michael J. Green of Cary, NC, his nephews James, Andrew and Wyatt Green of Cary, NC, his sister-in-law Victoria Murphy Green of Cary, NC and many, many wonderful relatives in Canada, England and Finland. Brian and his family moved from Canada to Seattle, Washington in 1958, to Los Angeles, California in 1960 and then to Bellevue, Washington in 1961. He moved to Kirkland, Washington in 1976 and lived there until 2016 at which point he moved to Gold Bar, Washington. 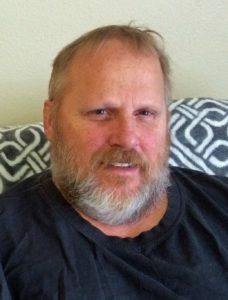 Brian attended Bellevue High School (BHS) from 1973-1977. While at BHS he excelled in sports. He was on the football and wrestling teams. In football his senior year, he was awarded All Conference Defensive Nose Guard in King County. He then went to Bellevue Community College for a couple of years and then decided to pursue a career in the trucking industry. He started out as a local driver for the Seattle Times Newspaper and then moved on to long haul trucking. He enjoyed his time in long haul as it allowed him to see much of the United States and to appreciate its vastness and to be as far away from his boss and the office. During a number of trips out East, he visited his brother and family in North Carolina. His trucking career spanned over 35 years. He retired in 2017 and was looking forward to retirement and riding his motorcycle. Brian loved motorcycles. In his early years, he excelled in motocross racing and won many races. Then he moved on to street motorcycles. He took some amazing road trips with his good friends. Road trips were his favorite pass time. Some of his road trips took him to The Grateful Dead concerts in the Pacific Northwest. Music was his second passion. He played drums in his younger years and would jam with friends in Kirkland. He also loved listening to music. He liked all kinds but really loved The Dead. Brian was also a worldly traveler visiting Canada, England, Scotland and Finland a number of times to visit many relatives and see the sites . Brian had so many good friends and maintained his friendships over the years. He was a loyal friend indeed. He always had a smile on his face and a story to tell. He was affectionately nicknamed ‘Bo-Bo’ after the gorilla in the Seattle Zoo. Being a big tall guy, it was a fitting moniker. He loved it. Brian also loved his 4 legged, furry friends. There was Sam and Joe, terriers, during his youth. 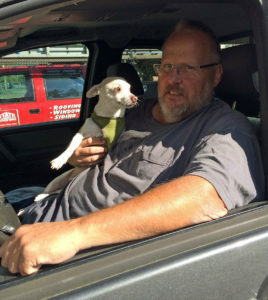 Then there was Bo, a Jack Russell; Tug, a Pit Bull, Odie, a mutt and Whitley, a Chihuahua, who were his traveling buddies at various points in his trucking career while on the road. Brian lived a full life and on his own terms. He was loved for sure and will sorely be missed. He now is riding his motorcycle in heaven. “Cheerio” (as Brian would say at the end of a call or visit). A Celebration of Brian’s life is scheduled for March 24, details will be announced at a later date. Happy biking Brian from a fellow biker of old.